Some pipes don’t treat us well. They seduce us with their beauty, their charm, only to tease us cruelly, never delivering what they appear to promise. They can be likened to horrible relationships that we keep revisiting, either because of the intensity of our shallow lusts, or because we keep forgetting how bad they were, or because the wellspring of optimism continually bubbles to the surface, and in the reflection of its pool, we see the only the possibility that, maybe this time, things will be different, only to later discover that they’re not. I’ve had pipes like that. Pipes so beautiful, so perfectly constructed, so promising that I cannot help but go back to them time and time again, despite the fact that every smoke is more punishment than pleasure. Don’t think of me as a masochist, please; I’m just naïvely romantic. 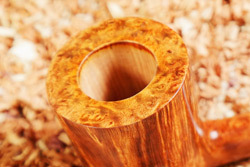 Tags: Are Expensive Pipes Really Better? Indulge me. 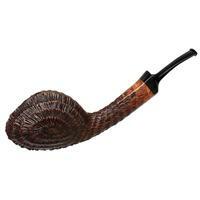 Take a moment to close your eyes and reflect on your earliest experience as a budding pipe smoker. It could have been months ago, years, or even decades. Imagine that first bowl in as much vivid detail as you can conjure. How does the memory compare to your current experience? 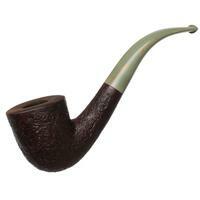 Most of us, without much effort, can recall our first pipe, our first tobacco, our first smoke. For some, it was the opening of a sensory door that would lead to a wonderful new world of taste and aroma; for others, it was like entering a chamber of horrors, a dread-filled experience that, if lucidly recalled, makes us wonder why the hell we ever again chose to wander those darkly haunted halls. Tags: How to Smoke a Pipe, Why Smoke a Pipe? I’ve been saving the ash from my smokes for a couple weeks, partially in response to some vocal claims made by a few that smoking to the bottom is either nearly impossible, or that doing so almost guarantees destruction of the pipe through burnout. 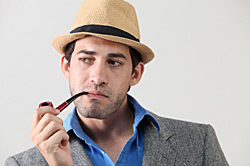 Truth is, I’m actually pretty far away from what anyone would consider an “expert” at smoking a pipe. I’ve somehow stumbled my way to a passable technique over the years, and I enjoy my smokes as much as anyone can, but thrown into the gladiatorial pit of a smoking contest, I’m always one of the first guys to find himself missing limbs, and the idea of sitting down with a pipe minus a full lighter and/or a box of matches immediately at hand fills me with terror. Last month (see Part I), we asked the the question, “why coat the bowl?” and looked at some of the common reasons coatings might be used. Response to the article was just what I expected it would be, with people taking up residence in one of the three camps I mentioned—hate ‘em, rather not have ‘em, don’t care—though one respondent did say that he does prefer coated bowls. 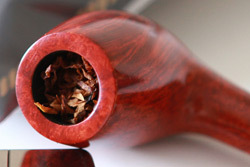 Now that the soup’s been stirred a little, we’ll talk about what these things, dreaded, tolerated or accepted, are, and how they might affect the smoking characteristics of the pipes to which they’re applied. 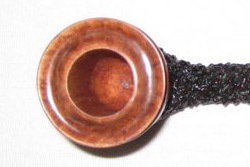 One of the most contentious of the long-running debates in the pipe community is the issue of bowl coatings. Why something so seemingly innocuous can drive discussions to a fevered pitch is intriguing, since, on the surface, it seems a fairly innocent thing. 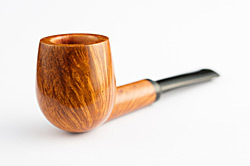 When I’ve discussed the subject with other pipemen, the only ones who vocally defend coatings, sometimes quite vehemently, are the pipe makers who use them. 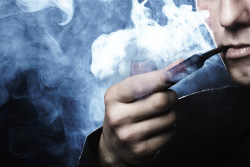 Pipe smoking is at once the simple affair of filling a bowl with some chosen leaf, getting it smouldering just right, and spending an hour or so enjoying the fruits of the effort, as well as a deceptively complex equation of too many variables to keep sorted. 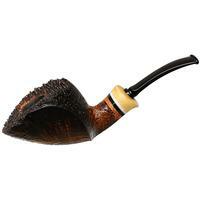 There are the obvious influences of the briar, the bowl shape, the tobacco, its constituents and its moisture content, how it is prepared and packed, and how we puff, but there are also the more obscure aspects. 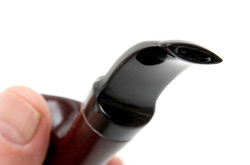 I’ve been smoking a pipe for about 30 years, now, and I’m starting to get the idea that I just don’t know how to do it. Seriously. 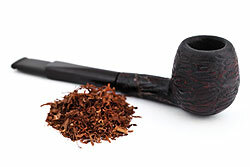 It’s not that I can’t stuff tobacco into a bowl, get it smouldering, and even keep it going more or less until I get to the bottom, but I know there’s more to it than that, despite the choir’s sustained insistence that “it’s easy,” or that I’m “over-thinking it.” Let me ’splain. I love the first bowl in a new pipe. The courtship. The anticipation. The excitement. 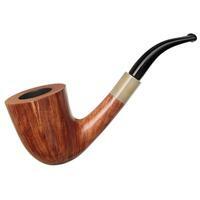 I fill the bowl carefully, taking time to appreciate the workmanship, the grain, the balance, the cut. 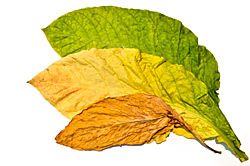 I test the draw, then strike a match, and slowly tease its fire over the surface of the tobacco, drawing softly, inviting the flame to caress the leaf, bringing it to life in wisps of fragrant smoke. 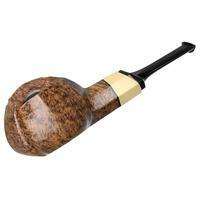 I savour the taste of those first puffs, of the wood as it warms and begins to meld with my chosen tobacco, and contemplate the gradual increase of richness and flavour that will come through the first dozen or so bowls, and even beyond. The ritual engages my senses and my memory in a similar way to that of a fine old wine as I swirl, sniff, and explore it as it develops in the glass. Not really. 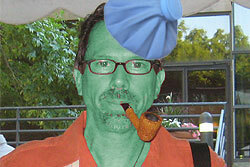 Actually, it was some joker in the airport who decided to sneeze and cough all over everyone in sight that made me sick. But, it happened in Kansas City, and it made you look. I’ve been back from the KC show for a few weeks, now, and I am still having wonderful flashbacks from my extended weekend there. It’s true that I spent a full ten days with the most tenacious cough and body-ache inducing case of the flu I’ve ever experienced, something I attribute to the heartiness of the corn-fed mid-western viruses, but it’s mostly behind me, now, I seem to have survived the ordeal adequately, and I certainly am not going to let it dampen the spirit of the show that welcomely accompanied me home. In short, I had a fantastic time. I ate far too much, drank a little too much (or, so I’m told, which may be an indication that it’s actually true), smoked too much and laughed a lot, and when the totting up is done, it was all fully worth it. What follows are a few random observations and experiences of the show. There’s no way I could do a thorough report, as it’s still sort of whirlwind blur swirling in my brain, but Kevin did a great job of that already in his show report, so read it for more reportage.